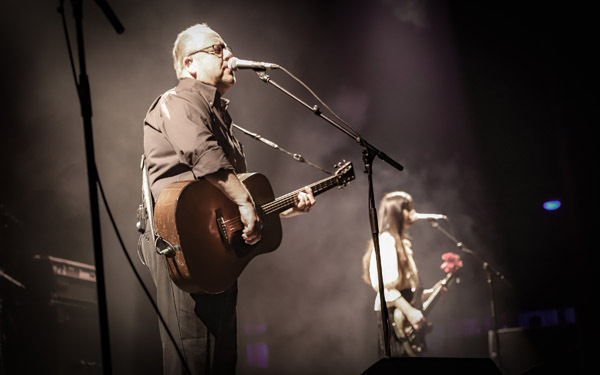 Pixies perform onstage at the Grand Sierra Resort in Reno on April 12. Some nights I’m reminded that a live show has the potential to contribute to something greater than the sum of its parts. This past Thursday when Pixies and Basement came to play at the Grand Sierra Resort’s Grand Theater, this feeling was evident. While folks just up the hill in Lake Tahoe may still be meandering their cars down side streets that more resemble slot canyons due to walls of snow on either side, Reno has entered the dance of the push and pull of winter’s tail end with hints of spring. What’s resulted are the first few 60-plus degree days of the year when the bare trees show the first signs of flower blooms and the downtown riverfront is packed with shirtless park goers giving their blindingly white skin its annual first taste of sunlight. With the weight of oversize jackets lifted, that feeling of the season’s coming potential is palpable. For whatever the city is currently attempting to rebrand itself as, visitors and residents both know that Reno is at its best when it plays the background to bad decisions and good times. Basement is in the Grand Sierra spotlights. Pixies and Basement brought their tour to the Grand Theater, the bands on the tail end of a national tour with Weezer (who played the Grand Theater themselves last year) and coming to Reno on an off-night of the larger bill. 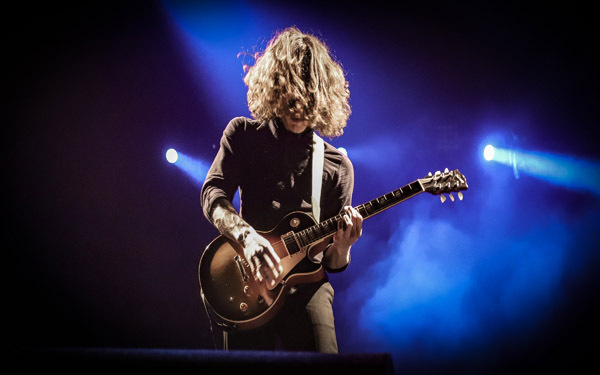 The three bands had played the two previous nights at Oakland’s Oracle Arena and Sacramento’s Golden 1 Center arena. Though before the show started, I spoke to people who traveled to Reno from the Bay Area to see Pixies play the Grand Sierra’s far more intimate venue. If the relatively smaller size of Reno’s venues isn’t an asset in its own right, it’s that smaller size of Reno in general that may contain its own unique circumstances that contribute to the impending warm season’s feeling of possibility. By coincidence earlier in the afternoon I had run into Basement’s vocalist, Andrew Fisher, at Magpie Coffee Roasters, a boutique coffee shop that generally lies off the typical tourist map. “I just went online and looked up coffee shops and this one sounded good,” he’d said. 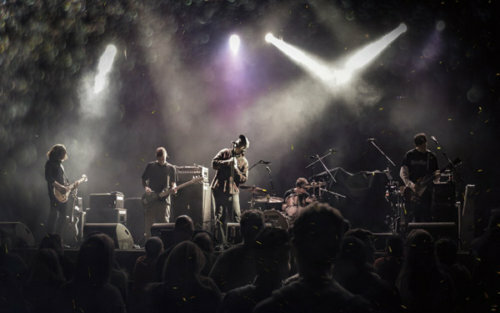 Later, after Basement, a 10-year old rock band from England, took the stage, he asked the crowd, “Are you doing alright, Reno?” which was met with a thunderous response, just before the band launched into its energetic set reminiscent of 90s alternative rock mixed with crushing melodic elements. The old punk in me continues to find an appeal in lingering in the parking lot before a show and having a drink or two before finally heading inside – something about nodding hello to other people in black T shirts as you make your way toward the casino. And the Pixies brought out a mix of those old disaffected rockers. along with the more subculture fringe-dwelling music fan that the band’s left-of-center songwriting spoke to. With a setlist composed of several new songs off of a forthcoming record with songs from their popular streak of late ’80s/early ’90s albums and songs like “Here Comes Your Man,” “Debaser,” and “Gigantic,” a look throughout the theater showed clusters of the crowd standing at their seats and dancing and cheering throughout the entire set. 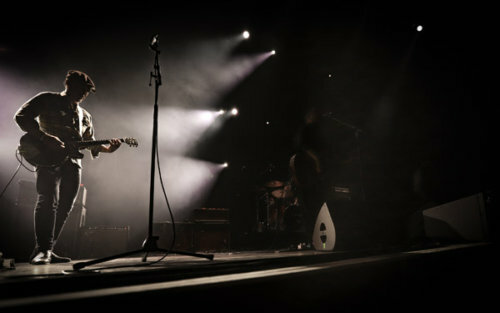 The stage offered minimal props and simple backlit lighting, while vocalist and guitar player Black Francis hovered centerstage with little talk between songs. Over time, Pixies seem to take on an even more iconic air. 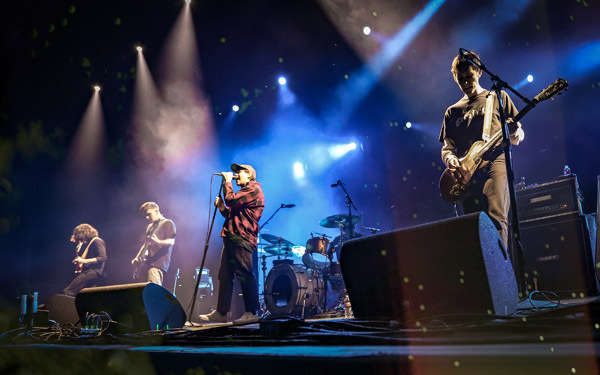 Their experimental sound partially inspired and paved the way for alternative’s refreshed take on rock music shortly after their first album, “Come On Pilgrim,” was released in 1987. 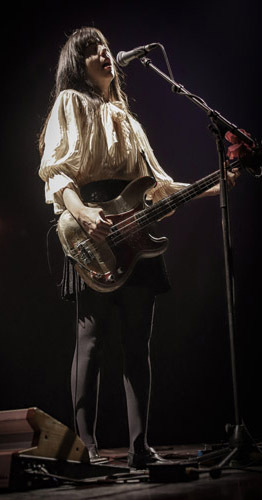 And while Reno tends not to get the sheer volume or scale of performers the way that San Francisco does, there’s something about the sheer reckless excitement when a band with a history like Pixies’ comes to town. Ending after nearly 90 minutes of playing, making our way through the casino floor and out the doors into the not-freezing air of a city in its transition to warmer nights, for the time being at least, Reno is at its best when its gritty elements come together. A final drink at your car looking out at the neon glow of a skyline set just beyond freeway billboards and casino marquee glow, contemplating a band whose legacy was for running counter to the more polished musical grain of the ’80s, a season where the streets at night is the most comfortable time and place. 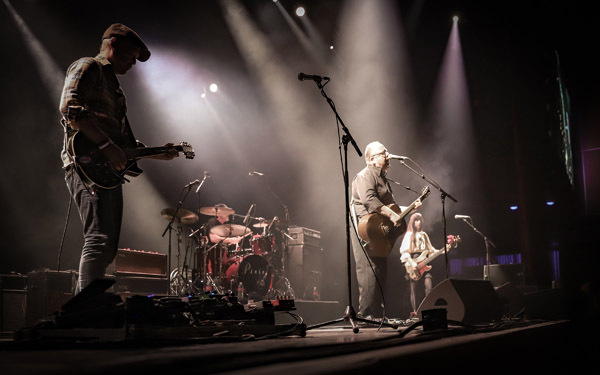 Pixies and Basement may have visited Reno at just the right moment to take a performance and take a place and capture the feeling that the nights can be something bigger. More gigantic than the sum of its parts.